How one couple "won the lottery” by getting paid to travel and following their dreams. Nanette and Tony Martin in Alaska. Q&A: How one couple “won the lottery” by getting paid to travel. Is it possible to earn money by following your passion? 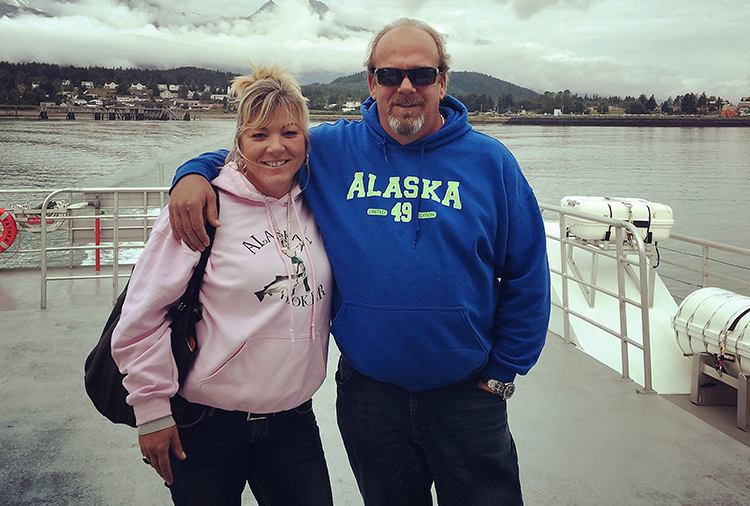 For Tony and Nanette Martin, the answer is a resounding “yes.” The Ontario natives crisscross Washington state as Good Sam Reps, a job that entails carrying out inspections and developing market plans for parks listed in for the Good Sam RV Travel & Savings Guide. The Martins’ Thor Freedom motorhome towing a Hummer. 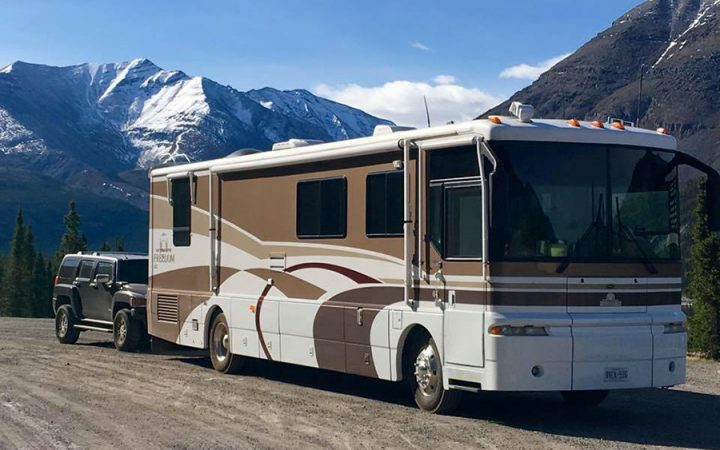 What got you into the RV lifestyle? In a small town just north of Toronto, we owned and operated our steakhouse for seven years, then sold everything. We thought, what now? Our plan involved RVing, but we’d never camped! Somehow, we ended up living the dream. We’ve traveled Canada as well as most of the U.S. and Mexico. 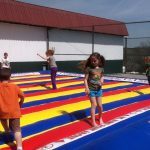 One year into our adventure, we met the Ontario Good Sam sales reps. I think we drove them crazy, asking, “What do you do? How do we get a job like that? How do we apply?” Finally, they gave in, took our information and we were interviewed and hired! What is the most rewarding part of being a rep team? When Good Sam called and offered us the Yukon and Alaska territories our first year, we couldn’t contain ourselves. We got to go on a tour of a lifetime, something most people have on their bucket list as we did — and get paid. We’ve won the lottery! What skill set/quality is most important in rep teams getting paid to travel? Strong sales and computer backgrounds are critical for the job. 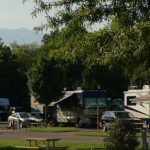 Helping RV park owners market their businesses and become successful with Good Sam is something we are very proud of. You must love your product and believe in it. We bring that passion to our customers. 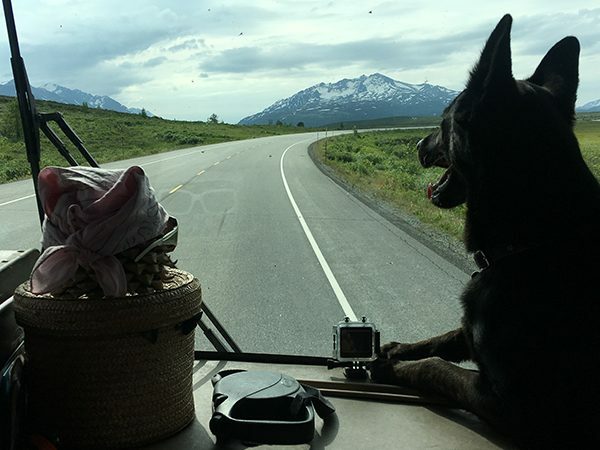 We travel with our Belgian shepherd named Bowie, who lives for the water. She’s swum everywhere, from the Sea of Cortez to the Gulf of Alaska and everywhere in between. (Check out more rep stories). Very impressive. U did win the lottery.